If there's anything that makes our period more comfortable and healthier - we're singing it's praises. As you might already know, here at Her we're #OnTheRag for the month of February. This means we're shouting about all things period related - the good, the bad and the ugly. Most importantly, we're highlighting how natural and normal a phenomenon periods are. There's no time for embarrassment, stigmas or keeping it hush-hush. With a subscription from MyLadyBug, you can get get all your favourite tampons, pads, chocolate, a pick ‘n’ mix of brands and oodles more that'll help you feel good on your period. The FLO pads our winners will receive are made from natural biodegradable bamboo and come individually wrapped in zero-plastic bio wrappers, while FLO tampons are made with organic cotton and they even have plant-based applicators! They’re sustainable, reliable, hypoallergenic and super comfy. And when you fall in love with them, remember you can subscribe to a monthly delivery with MyLadyBug! Best of all, you don't need to remember to purchase your femcare products. MyLadyBug will take care of everything, ensuring your packaged goods arrive bang on time every month. Lots of female sanitary products can contain nasties we’re not even aware of too (sanitary protection products are categorised as medical devices, so brands don’t have to disclose the ingredients). 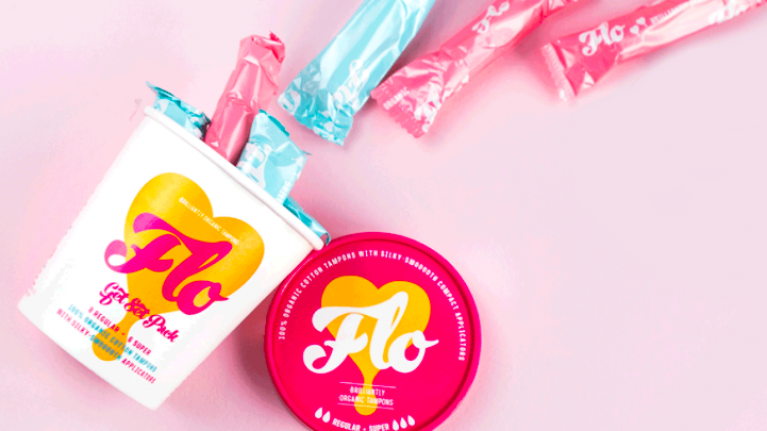 So, we do love when we manage to find a brand like FLO. To WIN, simply fill out our little form below. If you cannot see our form or it's 'submit' button, click here. Enjoy the FLO gals! Monthly subscriptions from MyLadyBug start at €9.99 and discounted pre-pay plans for three, six and 12 month subscriptions. You don’t even need to remember to order each box. You can expect it each and every month, hassle free. Want to get in touch? Email us at louise-carroll@her.ie. So lads, can you actually get pregnant while you're on your period?